Learn the basics of sewing and you'll have an invaluable skill to last a lifetime! Sewing has become trendy again thanks to popular TV programmes such as BBC's "The Great British Sewing Bee" and Channel 4's "Handmade Britain" featuring Kirstie Allsopp. So once again, people of all ages are discovering the joy of sewing. 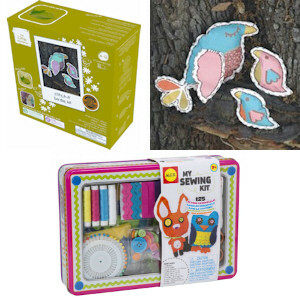 And I hope that you'll enjoy learning to sew or perhaps teaching others to sew by using the kits featured here at Easy to Stitch. 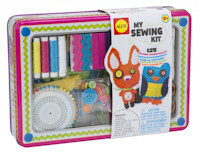 I remember learning basic sewing and embroidery stitches at primary school in the 1970s and then, whilst at home, my first efforts at hand sewing using scraps of fabric, ribbon and thread to make pincushions, aprons, dolls' clothes, simple toys and patchwork cushions. And I also remember having to wind the handle on my Mum's vintage sewing machine before I eventually discovered electric sewing machines whilst dressmaking at secondary school!